The expertise and experience to design for almost any requirement in the laser, electro-optic or specialty power supply industry. With experience in high voltage (>300kV) and high power (>130kW), our R&D department can adapt configurations from our library of power supply topologies to meet any requirement imaginable. Lumina Power now offers the laser and pulsed power market custom HV boards for capacitor charging circuits. Combined with any of the Lumina Power capacitor chargers, these boards give the laser engineer a proven way to quickly design prototype pulsing systems that can transfer directly to production. The IGBT board can handle 1200 Amp at 1200V with a range of pulse widths from 10us through 10ms. Various capacitor configurations can be used with this board to optimize pulse performance and minimize voltage drop. 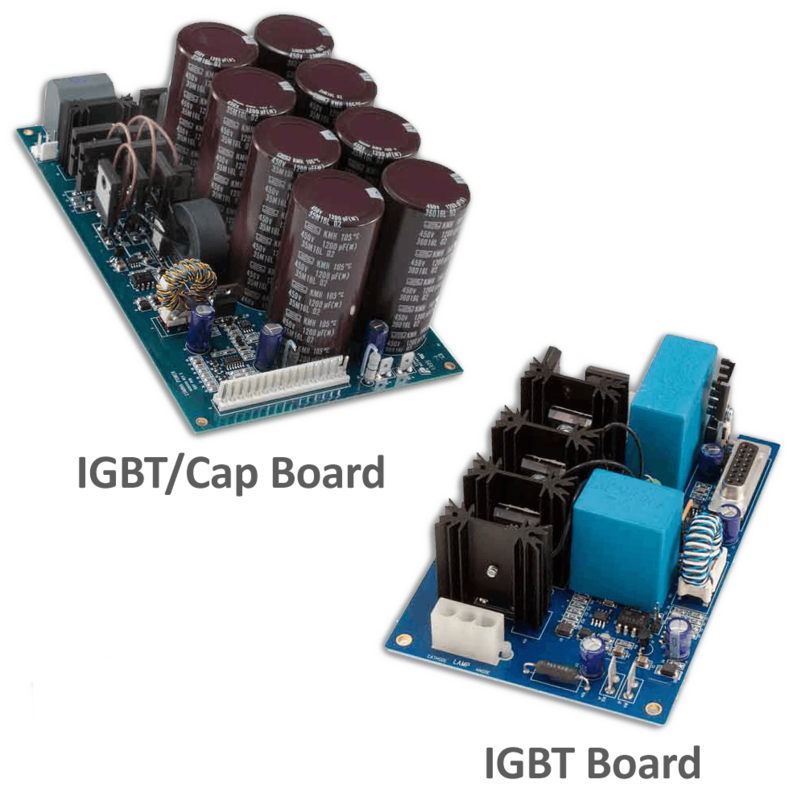 The IGBT/Cap board incorporates the high voltage switches and the capacitors along with a safety current sensing circuit to detect lamp current and cut off the discharge current path to protect the optics from over power. The standard board can accommodate up to 2400uF at 900 volts but more capacitance can be used at lower voltages. We also offer capacitor boards without the switch and custom configurations for almost any OEM application. 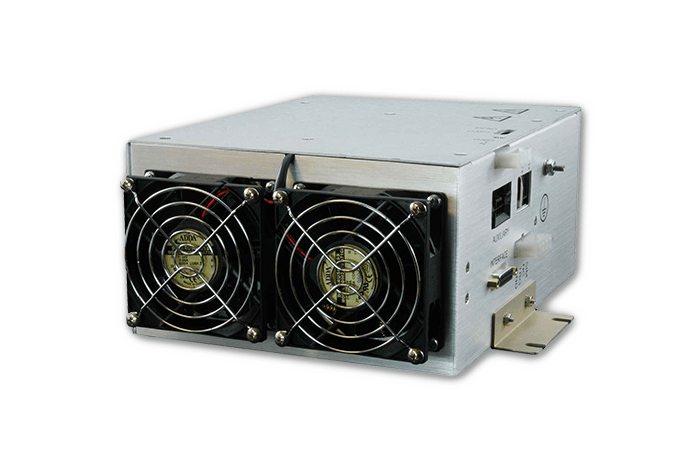 A unique design for several medical laser companies, this power supply combines our CCPF capacitor charger technology with a high voltage pulse forming network, simmer, trigger and all auxiliary voltages allowing the customer to operate the complete laser from one source. Input section features active power factor correction and is filtered using a low leakage filter section that meets medical low leakage standards. Capable of output voltages to 1500V at a 1000J/s this system can be configured for both traditional pulse forming networks or partial discharge operation. Auxiliary voltages are +5, +15, -15 and +24VDC (other options are available) and a simmer output of 150mA with an open circuit voltage of 1000V. This versatile platform can be easily reconfigured for many applications in a short period of time reducing lead time and setup costs.